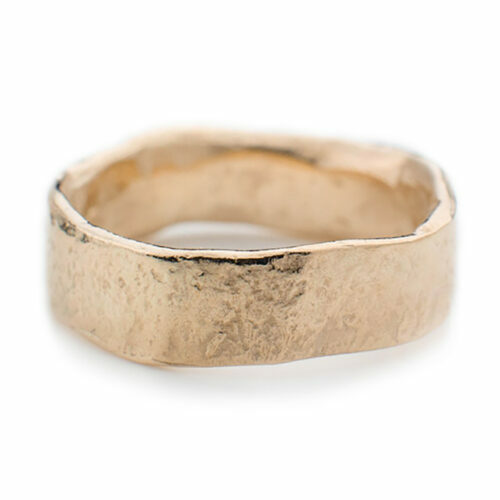 This solid 9ct gold ring has been handcrafted in Cornwall. It's design and texture had been influenced by it's coastal surroundings and had been individually made with a distinctive sea-worn character. The shape of this ring is a flat wide band. This solid 9ct gold ring has been handcrafted in Cornwall. It’s design and texture had been influenced by it’s coastal surroundings and had been individually made with a distinctive sea-worn character. The shape of this ring is a flat wide band.